The previously reported problems preventing off-campus access to eBook titles on the Bloomsbury Collections platform have now been resolved. Off-campus access is available once again by university username and password. An illustrated walkthrough of each step in the off-campus login process is available. Posted in Bloomsbury, eBooks, Outage and service issues, Shibboleth on July 31 2015 by Resource Discovery and Innovation Team Manager. 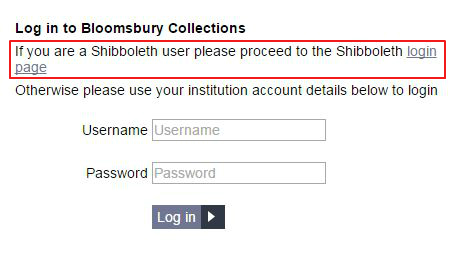 Off-campus access to eBook titles in the Bloomsbury Collections set is currently unavailable due to a problem affecting Bloomsbury’s Shibboleth Service Provider. Off-campus login requests (via NTU username and password) are currently resolving to an error page. A further update will follow once off-campus access to Bloomsbury Collections’ content has been reinstated. On-campus access (via IP authentication) is unaffected. Posted in Bloomsbury, eBooks, Outage and service issues on July 27 2015 by Resource Discovery and Innovation Team Manager. Access to eBooks on the Dawsonera platform has been restored, following the resolution of the issues affecting the Dawsonera Shibboleth service provider. We're happy to confirm that access via Shibboleth has been restored. Thanks for your patience and sorry about the inconvenience! Posted in eBooks, Outage and service issues, Shibboleth on July 16 2015 by Resource Discovery and Innovation Team Manager. what would happen if the great literary figures from Nottingham’s past went unread. If their ideas are not preserved and made accessible will they effectively disappear from our minds? Sillitoe, Lawrence, Byron et al would never put up with such an insult and so return from the grave, in a twist on the zombie genre, in search of the one thing that will ensure their survival: ‘boooks’. The Dawn of the Unread series is also available through a mobile app on the Windows, Android and iOs platforms. Posted in eBooks, eResources on July 16 2015 by Resource Discovery and Innovation Team Manager. Access to ICONDA (a bibliographic database covering building, construction and architecture, delivered through the OVID-SP platform) has been withdrawn from the Find Databases service in Library OneSearch following the conclusion of the library’s subscription to the resource. Posted in OVID, Shibboleth, Withdrawn resources on July 6 2015 by Resource Discovery and Innovation Team Manager.